For those who keep sketchbooks (and all you young artists better have a sketchbook! 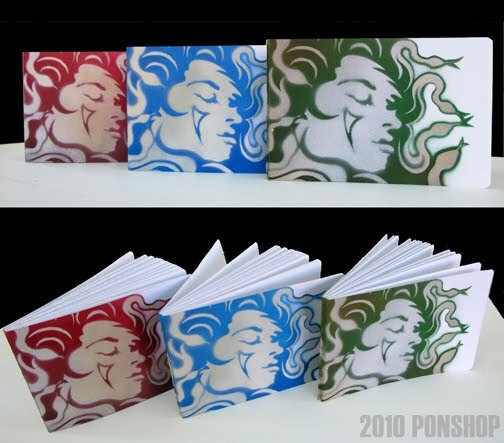 ), we've got the perfect addition to your arsenal: PONSHOP sketchbooks include original stenciled designs on hand stitched books: (25) 7.75" x 5.5" sheets with cover. $25 each. Each book is signed, titled and numbered by artist Gabriel Pons. Come by the shop and check 'em out!